Energy Savings for Your Future! Click here to receive a FREE Estimate, which includes a complete energy analysis of your home! Welcome to Phase II Renovations, Inc. Phase II Renovations, Inc. offers energy efficient renovations for the home in Northern Virginia. If you need window replacements or outdoor renovations such as sidings, roof renovations, and porch remodeling, you can trust us to do the best job while staying economically-friendly. We specialize in energy-saving home renovations and remodeling, which are fantastic for the community as well as your budget. Outdoor home remodeling is an exciting opportunity to upgrade your home. We care about keeping you and your home safe and healthy while finishing the project just the way you want it. We're licensed to provide energy-saving home renovations and remodeling in Northern Virginia and have been serving the community for over 25 years. By participating in green home remodeling, we help you save money and the environment at the same time. 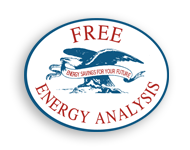 Contact us at our offices in Northern Virginia today to receive a free Energy Analysis, and find out all the ways we can help you save! © 2015 Phase II Renovations. All rights reserved. Website design by DeCarlo Studios.